HTC has a new Hot Deals up, but this time, it’s not limited to a small amount of customers who happen to be very fast. In this Hot Deal, you can take 20% off any HTC smartphone now through January 2, 2015. Again, that’s 20% off any HTC smartphone. All you need to take advantage is a special code, which has been placed for you below. As for what phones we might recommend, there is the One (M8), as well as the Desire EYE. For 20% off, those are good deals. Use the code below at checkout to claim the 20% off deal. 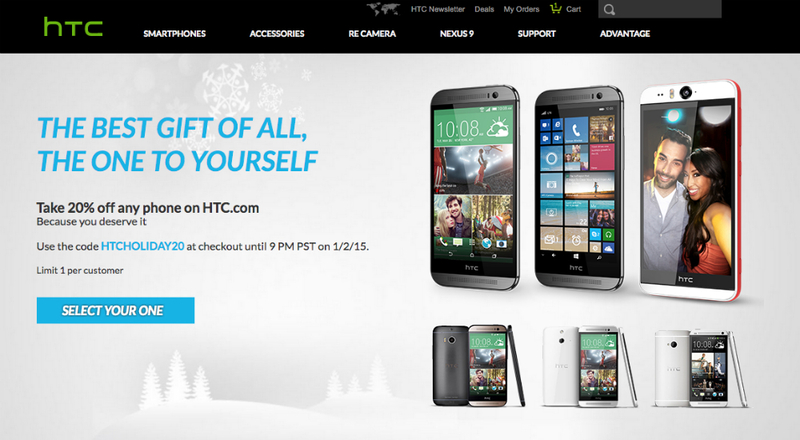 To take advantage, head on over to HTC’s online shop right here.